I have relocated my work space ( which has been a make do corner of our living room for the last couple of years ) to the top floor of the gallery building. This room had been used for storage for some time and it was my husband Gavin’s painting studio for a number of years before that. Gavin now works in the back kitchen ( possibly the cosiest room in winter ) which is right next door to the main gallery space. It took me several days to clear the room and find an alternative place for everything. I then had to bring all my paints and canvases up two flights of stairs and make the place my own. 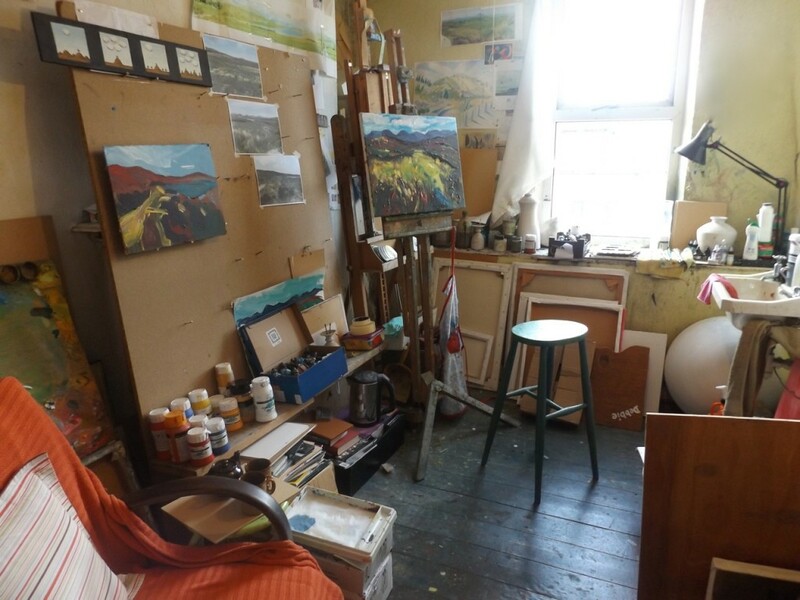 It is like getting a new lease of life – to be able to close the door at the end of a session without clearing everything away and to have the opportunity to make bigger paintings without the worry of wrecking the furniture – who knew how liberating this would feel! It is good for me to be away from the house and my domestic life and it is fun to work in the same building as Gavin but still be completely independent. This building has really come to life since the renovation project last year and now it is the place where we can both make our art as well as our living. I’ll post again soon about the piece on the easel which is almost finished. Good times ahead. 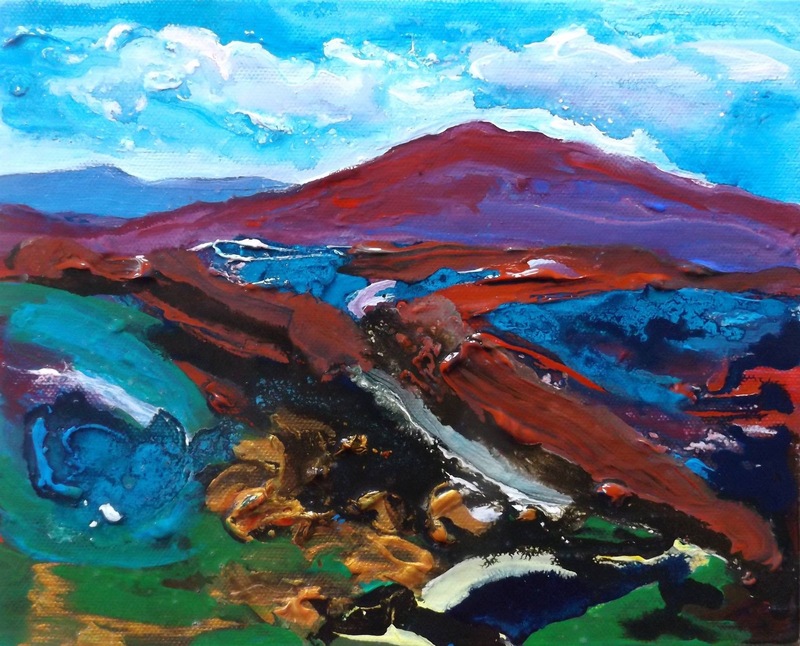 This entry was posted in Paintings, Uncategorized and tagged deborah watkins, gallery, gavin lavelle, lavelle art gallery, painting, space, studio, west of ireland.